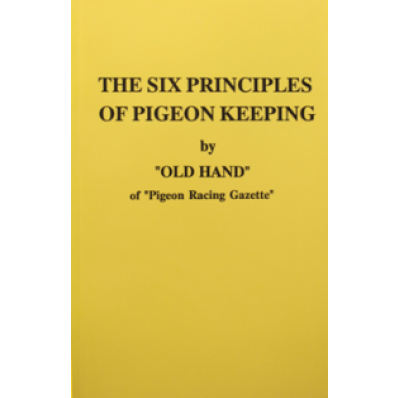 The Six Principles of Pigeon Keeping by "Old Hand" of "Pigeon Racing Gazette"
This helpful book deals with the problems of loft design, specialised loft equipment and accessories required to successfully keep racing pigeons. It clearly illustrates the benefits of adequate ventilation, and highlights the damage that can be caused if this is not achieved. Part two provides a detailed and illustrated guide to the Construction of the Metal Loft. Published in the UK and Overseas by S & D Bishop Ltd.